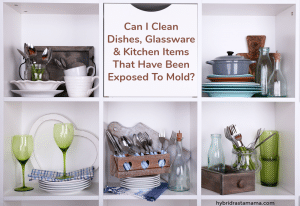 Moldy Dishes – Can I Clean Dishes, Glassware & Kitchen Items That Have Been Exposed To Mold? You are here: Home / Toxic Mold / Moldy Dishes – Can I Clean Dishes, Glassware & Kitchen Items That Have Been Exposed To Mold? 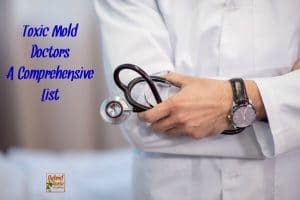 I am no stranger to an inbox full of questions about mold. 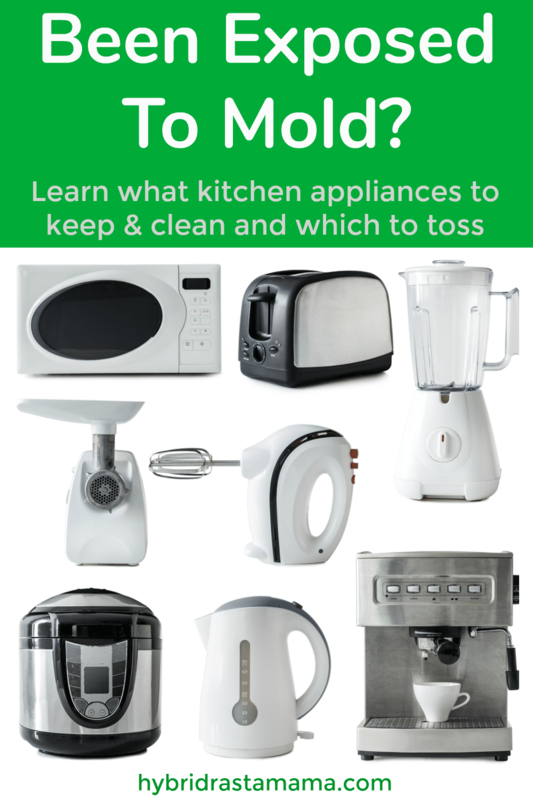 They run the gamut but over the past six months I have had an onslaught of questions such as “how do you clean moldy dishes,” “will dish soap kill mold,” “how do you remove mold from pots and pans,” “can I keep dishes exposed to mold,” and tons more! Blenders, Instant Pots, Tupperware, Teflon, glassware, rice cookers, and crock pots that has been exposed to mold were also all big concerns. 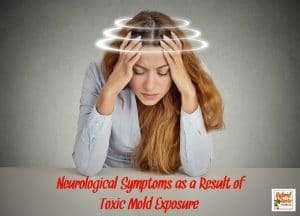 In 2014 I went through a toxic mold nightmare. 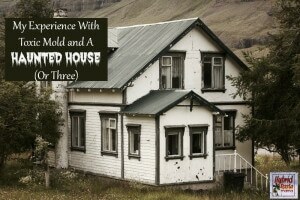 Through that experience (and many additional mold events) I learned exactly what to do with every item that could possibly be found in a house. This includes dishes, glassware, silverware, and other kitchen items that have been exposed to mold. 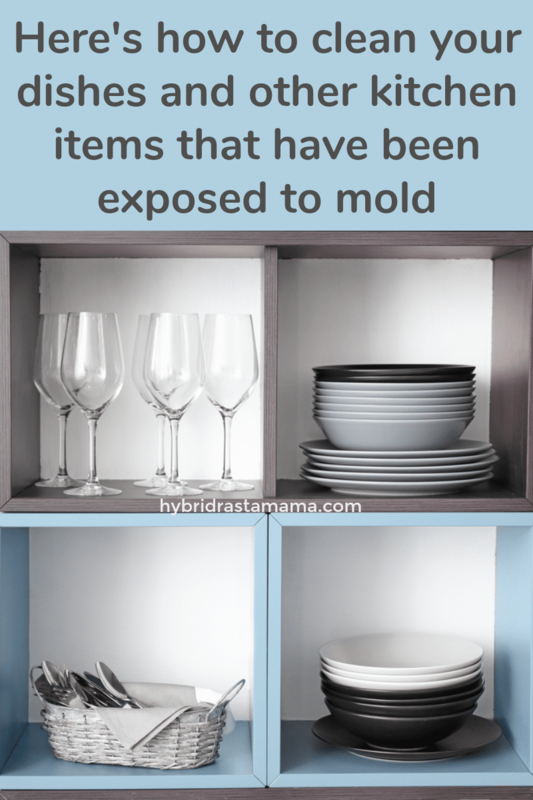 When walking away from toxic mold isn’t an option, most people seem to want to keep their kitchen items. Slightly baffling but like I said, I get a lot of emails asking how someone can clean dishes that have been exposed to mold. Would I clean and keep kitchen items that have been exposed to mold? Yes. I didn’t keep anything from my original moldy house but that was because it was beyond highly contaminated and I was basically dying. It wasn’t worth it to keep anything. Since then, I have been able to successfully clean and keep certain non-porous items after “minor” mold events. 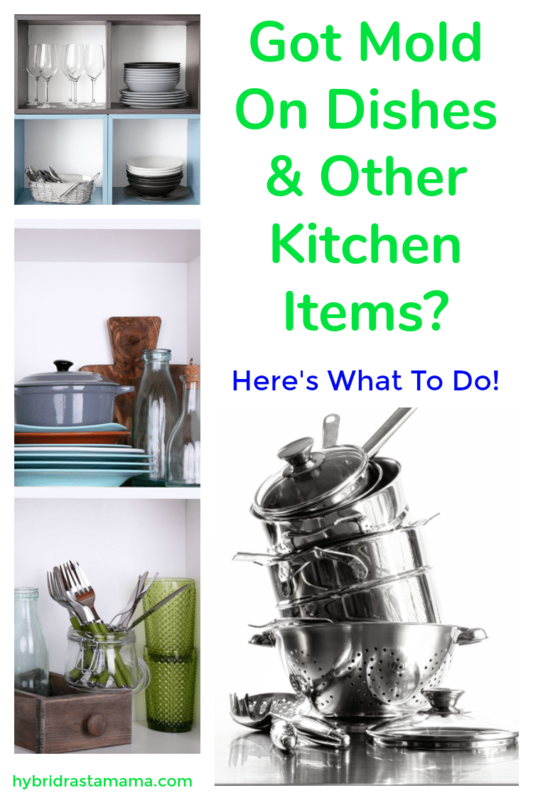 Before I dive into the method I use and recommend to clean dishes, glassware, and kitchen items that have been exposed to mold, let’s look at what exactly can be salvaged from your kitchen. All dishes including glass, glazed clay, china or porcelain. All serving dishes like bowls, pots, gravy servers, carafes, casserole dishes including glass, glazed clay, china or porcelain. All items made of glass including jars, glasses, boxes, figurines, ash trays, dishes, bowls etc. All metal silverware including everyday stainless and/or fancier silverware for entertaining. Most all pots and pans including lids can be cleaned. The main exception is cast iron. It simply cannot be properly cleaned to remove mycotoxins. Teflon is also dicey. All bakeware, including silicon and glazed stoneware. Most utensils can be saved unless they are made of raw wood. Anything not on this list that has been exposed to mold should be thrown out. This is especially true of wooden cutting boards, wooden utensils, appliances with a motor, appliances or kitchen items with little nooks and crannies (like a toaster or handheld mixer), knife block, and anything with fabric (potholders for example). This means your moldy blender, moldy Instant Pot, moldy crock pot, and moldy rice cooker need to go. I would also get rid of your coffee pot, microwave, stand mixer, food processor, and toaster oven. The mold and mycotoxin removal process is a bit time consuming. 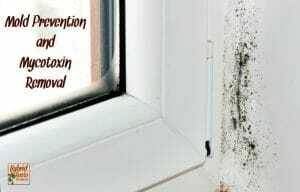 The solution I recommend has been independently lab tested and proven to reduce the amount of mold and mycotoxins. You might see a lot of other suggestions out there but I assure you, I have done far too much research and experimentation and I know what I am recommending works. Important to note – Dish soap will NOT kill mold. 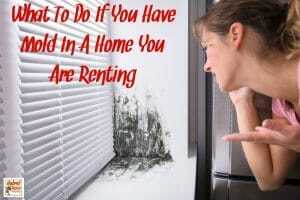 It certainly will remove actual mold on dishes but it does nothing to render mold inactive. Same thing with bleach. It will only bleach mold spores. Not helpful! 1. Bring EVERY kitchen item that you want to clean outside. Let it get some sun if possible. 2. Saturate your dishes, glassware, silverware, pots, pans, and other kitchen items with this mold solution spray. Let it air dry. 3. Turn everything over and repeat the process. At this point, you can choose to hand wash everything or run it through a dishwasher. 4. For those of you handwashing, grab a bottle of the mold solution concentrate OR laundry additive. Plug your sink and pour 4 ounces of the solution and 28 ounces of super hot water into the sink. Dunk each kitchen item in the solution, swishing it around for a few seconds. Rinse with warm water and air dry or towel dry. 5. For those of you with a dishwasher – you have two options. 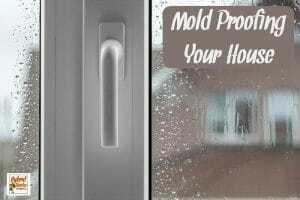 It is normally 16 ounces of the mold concentrate to a gallon for regular strength Mold Spray. A typical washer uses 4 gallons. But because the water is high temperature and in contact for a lot longer time, 8 ounces of the mold concentrate undiluted at the start of the wash should clean the machine and the dishes. The Laundry Additive actually works better because it is formulated for greater dilution in the washer. However, the dishes might faintly smell like Tea Tree Oil. 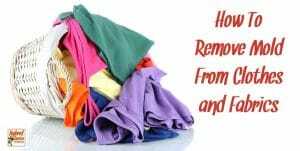 You would only need to use once ounce of the laundry additive. Run your cycle normally. And there you have it! How to clean and keep dishes, glassware, silverware and other kitchen items that have been exposed to mold. Remember, never bring anything into a new environment (or remediated environment) without cleaning it first. 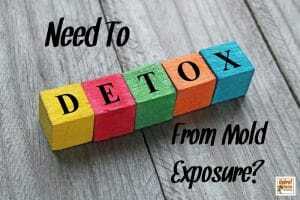 You will cross contaminate the heck out of your living environment which would not help you detox from mold exposure. Before we go… if you are thinking about using essential oils to clean mold please open that link and read my post. 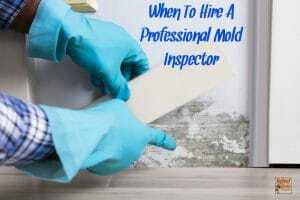 Also, if you want to prevent mold, check out my monthly mold prevention protocol. 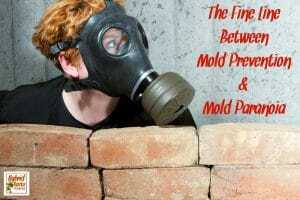 It is also very useful if you have had a minor mold event. 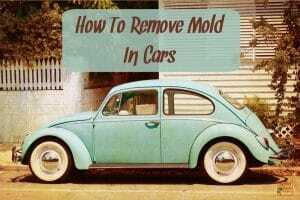 Need to remediate your car? Read that post. What about pets? 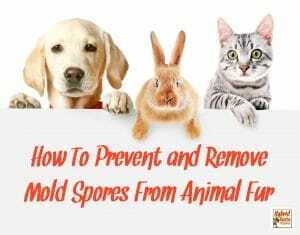 Learn how too get mold out of fur. 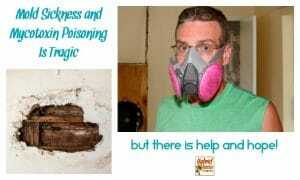 If you are skeptical about my method for dealing with moldy dishes, leave a comment or shoot me a message. I not only researched this myself but I spoke extensively to several companies about their product to determine which one would really withstand the heat of the dishwasher or hand washing in hot water. 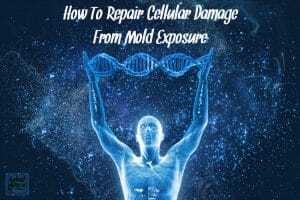 Having problems with punk mold in the shower and toilets. Do you have a protocol do get rid of that? Hi Jennifer! 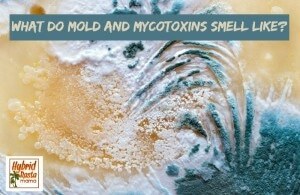 Clean both the shower and toilets with this: http://microbalancehealthproducts.com/products/ec3-mold-solution-spray.html?rfsn=1068079.6c890 You will need to use some elbow grease initially to get into nooks and crannies where the pink mold doesn’t want to be found. Once you get it all removed then spray that solution in the shower after showering and clean the toilet every 5-7 days with it as well!